Our next open morning will be held on Friday 10th November at 10am. Book your place now! On Friday 10th November at 10am, Greenfield School will be opening its doors to prospective parents to allow them to see the school in action. 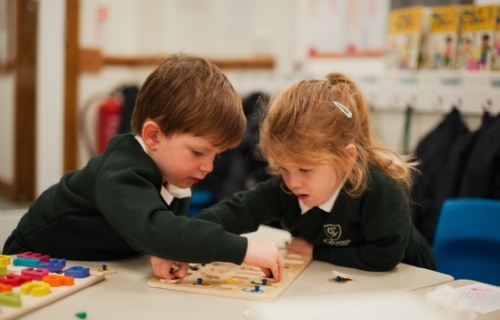 Whether you are looking for a place for your little one in our Pre-Prep Deparment (for rising 3 to 5 year olds), the Lower School (Years 1 and 2) or the Upper School (Years 3, 4, 5 and 6), you are welcome to visit us and see how the school operates. Normal lessons will be taking place, allowing you the opportunity to see our excellent teaching practice, small teaching groups and modern, functional facilities. Tours are given by our Year 6 pupils, who have a very good understanding of the school and will honestly answer your questions about life at Greenfield. Any questions they are unable to answer can be put to the Headmistress or Head of Admissions at the end of the tour, where you can also discuss availability of places and the admission process. To book your place at our open morning, please contact the Head of Admissions, or complete our online booking form.